Getting ready to go to Yellowstone! I'm so sorry I didn't post a Teaser Tuesday yesterday. This is the final week of school for my boys. One has 8th grade graduation tonight. I've been trying to get over a, what I thought was a simple cold, that has turned into a nasty chest congestion for the past five days. There is nothing worse than having to work graveyard shift when you can't get a restful sleep during the day. I finished the final words in Yellowstone Deception yesterday. It was a bittersweet moment when I wrote THE END. I've been "living" with the characters in the Yellowstone series for three years now, and I feel like I'm saying good-bye to some very close friends. Now I need to do some edits and minor revisions, before the release on July 11th. My family and I are leaving for Yellowstone and the Tetons this Friday for two weeks, so the blog will be quiet until I get back. I hope to post more regularly starting in July. I have two new series I'm working on. One will be a time travel series set in the 1800's, the other will be, most likely, a trilogy set in the Grand Teton area of the 1800's. This series will not be a time travel. Strictly historical. Also, I post regular updates on my Facebook page, if anyone wants to give it a "like." If I can figure out how to post from my iphone, I'll have updates from Yellowstone over the next few weeks (if my husband doesn't confiscate it first). “Daniel.” A soft woman’s voice called from the cabin. Daniel’s head turned instantly, and he watched his wife waddle across the meadow towards him. He left his brother’s side, and headed in her direction. Aimee favored him with a wide smile that never failed to make his heart beat faster. She reached her arms up to his shoulders, and leaned towards him for a kiss. Daniel ran his hand over his wife’s swollen abdomen. She looked and felt as if she would burst at any moment. “Is it alright for you to be out here?” he asked gently. Daniel smiled when Aimee rolled her eyes at Elk Runner’s words. There was an edge of panic in his brother’s voice. Daniel stepped aside to give his wife free access to his brother. “I believe the spirits cursed me already when you became my brother-in-law,” Aimee retorted, a wide smile on her face. Her Shoshone was still a bit stilted, but her meaning was clear. Daniel suppressed a grin. His wife never failed to try and put his brother in his place. The two made it a regular habit to spar with words. “If you are so afraid, why do you come here?” she asked, taking a step towards him. Elk Runner backed up as she advanced. 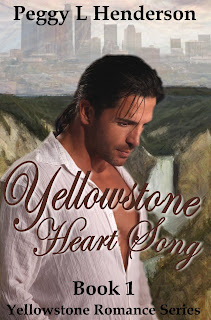 Yellowstone Heart Song is FREE today! 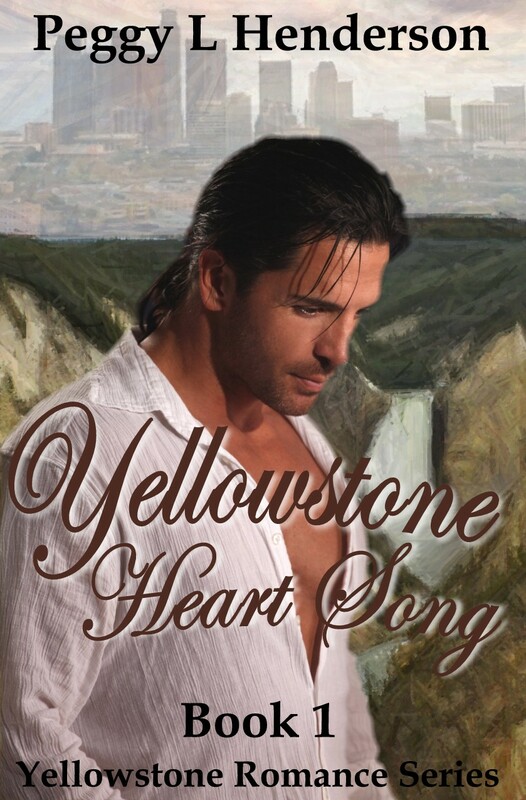 Today only, Yellowstone Heart Song is FREE on Amazon. Thank you, Michael Gallagher, for listing the book on your blog www.fkbooksandtips.com. 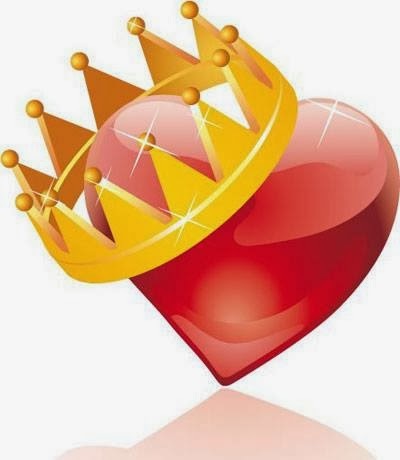 Authors, if you need extra exposure for your Amazon books enrolled in Select, send Michael an email. His blog has an active readership of over 275,000. 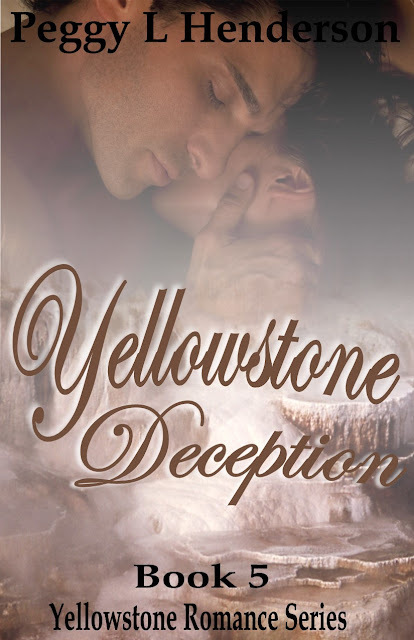 For today's teaser, I would like to present the book cover for Yellowstone Deception, along with the blurb for the story. Thanks to all of you who entered the design contest for the book. I loved everyone's ideas of what Yellowstone means to them. Out of so many possibilities, it wasn't an easy choice as to what to use. In Yellowstone Deception, I send my characters into areas of the park that I haven't explored in the other books, so this cover needed something to reflect that. With that said, I chose the Mammoth Hot Spring Terraces as my background for the cover. Congratulations to Maggie O. for her winning suggestion!